The resolutions on Syria drafted by the European Parliament (EP) are “detached from reality” and “are not helping” efforts to settle the Syrian crisis, the head of Russia’s upper house Committee for International Relations has said. 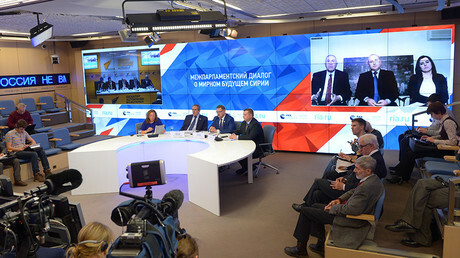 Konstantin Kosachev was speaking with MEP's during a Moscow-Brussels televised conference on Syria, set up by Rossiya Segonya. “There is a dozen of them, maybe more. 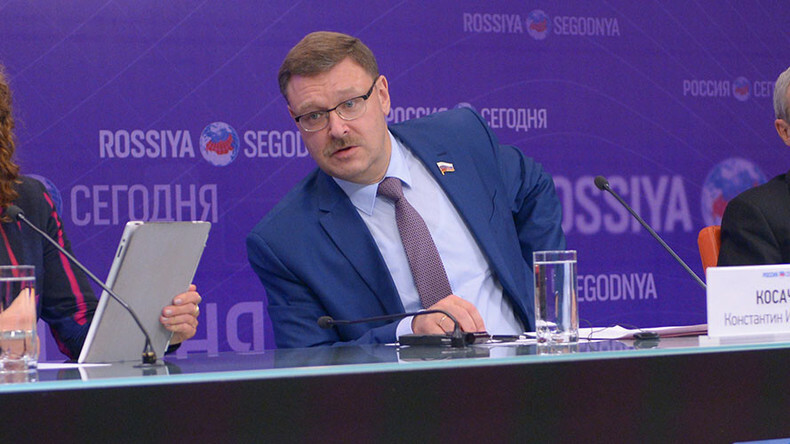 When I looked at the content, I got a feeling that the European Parliament exists in an isolated world and they don’t look deep into the situation in other parts of the world – particularly in Syria,” Kosachev said. None of the resolutions put forward proposals that could have promoted the diplomatic process in Syria or the fight against terrorism, the Russian official said. “The EP resolutions exist on their own and the situation in Syria develops according to a different scenario,” he added. “We could meet government officials and members of the opposition in Damascus. We could visit recently liberated cities as well, Aleppo, for example, and talk to people who were rescued,” Kosachev said. Some members of the European Parliament taking part in the discussion praised the Astana talks on Syria and admitted that the European Union should play a more active role in Syria’s peace process. “The EU should be more involved in the efforts [made by] Russia, Turkey, and Iran,” Romania’s MEP Catalin-Sorin Ivan from the Group of the Progressive Alliance of Socialists and Democrats said, suggesting that special missions that would carry out fact-checking in Syria should be organized. Russia’s Federation Council speaker Valentina Matviyenko announced plans to convene regular TV conferences regarding the Syrian crisis on February 15. 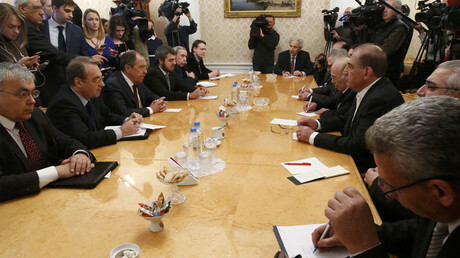 The first conference featuring officials from Moscow, Astana, and Damascus took place on February 16.